Adventure Base exists to make life more adventurous! We are an adventure travel agency launched in 2008. In the beginning the guiding side of the company was know as Dream Guides and was run by Kenton Cool and Guy Willet. Adventure Base covered the accommodation side of things. In 2010 we merged the two companies and Adventure Base become 100% focused on adventure travel. Dream Guides focused largely on skiing and climbing adventures, with directors Kenton Cool and Guy Willet working as IFMGA guides and passionate about the Big Mountains. When the companies merged we turned our attention to trekking, and now offer fabulous courses in all three activities. Our small office team are all passionate adventurers and spend a large part of their time practising what they preach. As a team we have spent the last 15 years hiking, skiing and climbing around the Globe, and for this reason we feel we can honestly bring our clients the best experiences in Adventure Travel. Our large portfolio of reliable, profession and most of all fun loving guides has been built up over the past ten years. We work with all nationalities of guides, but all of them are English speaking. 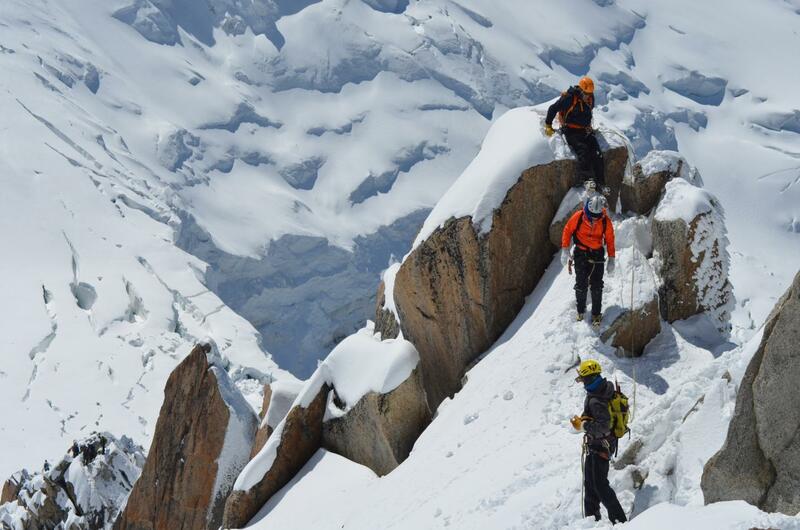 Most of our guides are based in and around the Chamonix valley. Our in house operator still known as Dream Guides runs most of your trips. We also sell other third party supplier trips around the globe, in places where we don’t have an in house team. All these third party trips are verified and approved by a member of our team. In the years that we have been selling adventures we have understood that adventure means different things to different people. A common theme makes the experience unique. We have defined this as awe-inspiring locations, exciting activities and authentic experiences. How can I assess my own fitness level for the tour? All our course and expeditions are graded for ability levels and fitness levels. When choosing a trip pay close attention to both ratings and this will help you to choose one that is best for you. Having climbers/skiers of a similar ability and fitness level on the same trip helps us make sure that everyone has a great time and gets the maximum out of each course. Do you offer any discounts on your tours? We offer our clients a 5% return client discount on all future courses & trips, just drop us a line before you book and we will send through a discount code. We also offer a Refer a Friend discount, which will give the friend and yourself a 5% discount. To redeem this, just drop us a line before you book and we will send through a discount code.